People travelled from around the world to share sauna knowledge, including Japan, the UK and Australia. What kind of people would travel thousands of miles to discuss saunas? Politicians, professors, medical practitioners, community activists, spa owners, stove manufacturers, artists and even an Olympic wrestler were among 200 people from 20 countries attending the XVII International Sauna Congress this week. 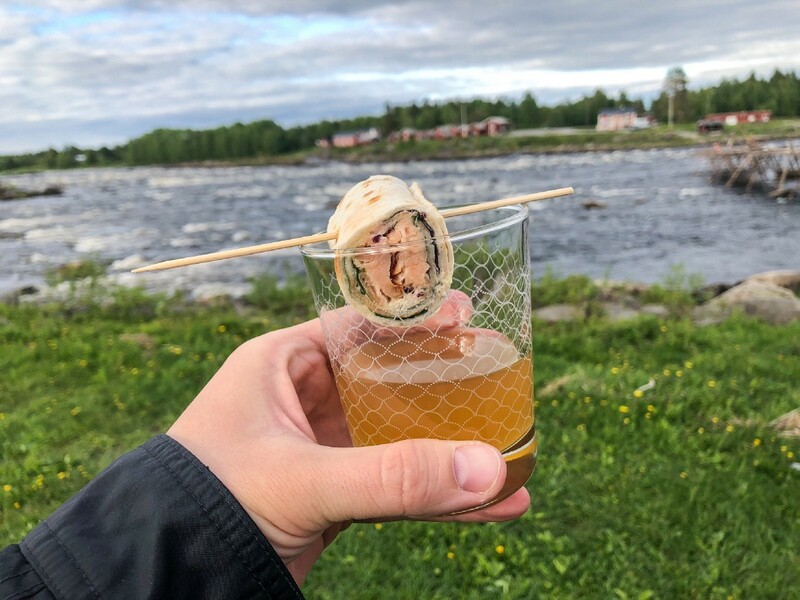 The congress takes place once every four years and was this time in Haparanda/Tornia, which is essentially one town but with an invisible border across Sweden and Finland. 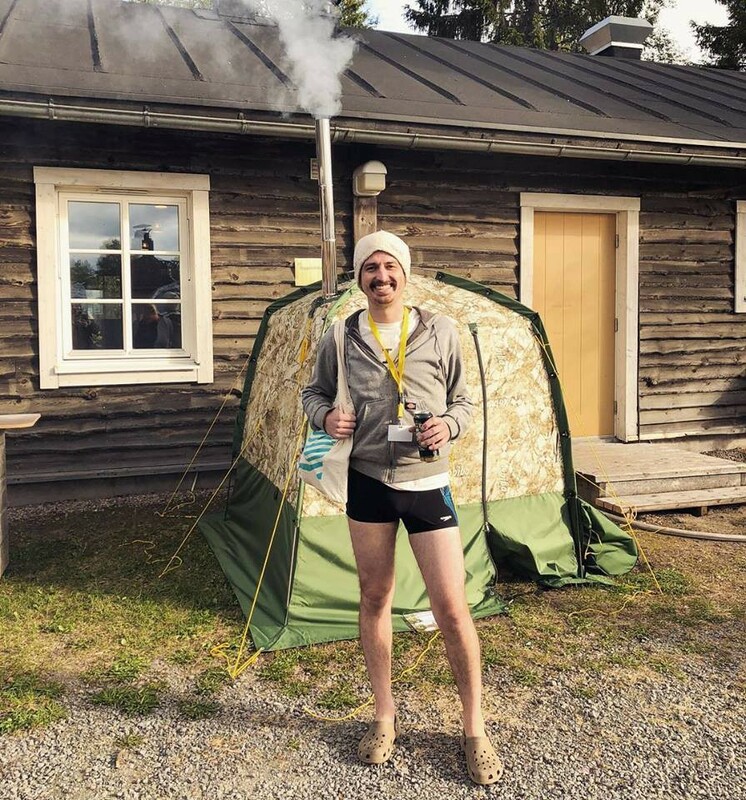 It has three languages, two time zones, two currencies …and one mutual love of sauna culture. 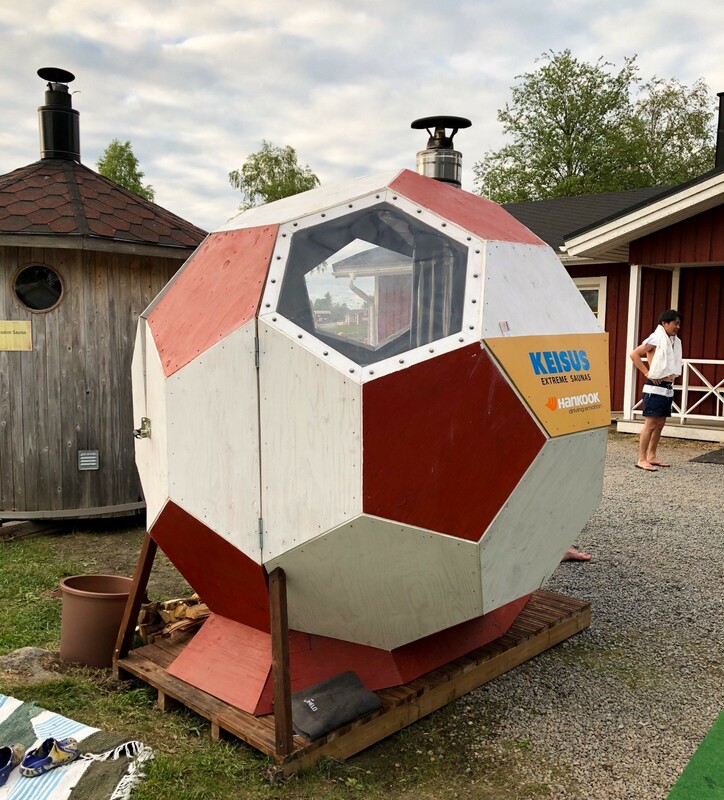 The participants ranged from 8 to 80 years of age of roughly equal gender and came from some surprising parts of the world where sauna culture is gaining popularity — from the UK to Australia. After Swedes and Finns, the next most common nationality was Japanese. 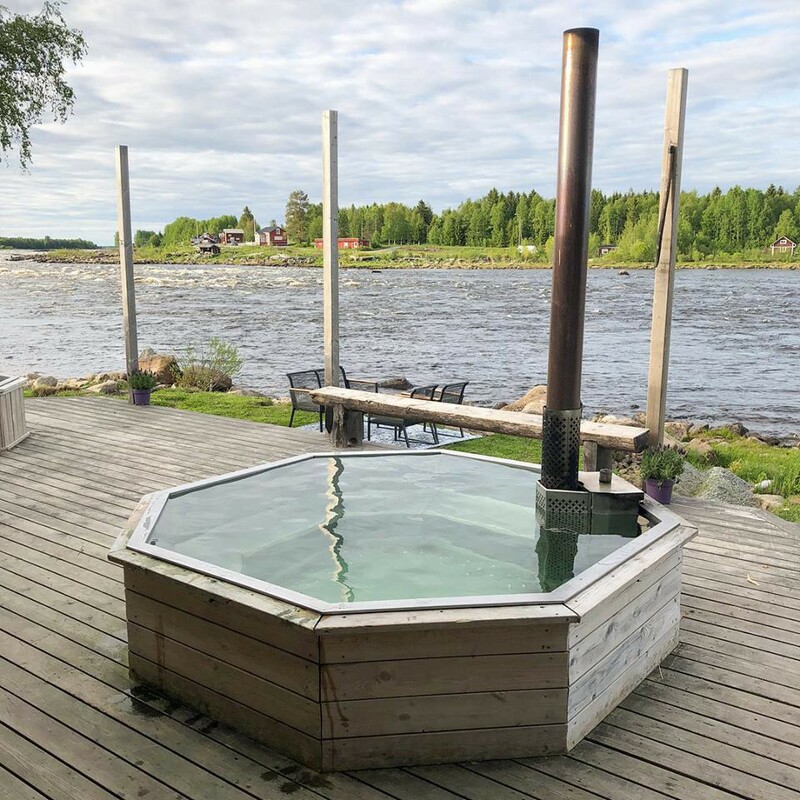 The northern European sauna tradition is the best known example of ‘sweat bathing’, which was once common across the world — from the native American sweat lodge to the Turkish hammam and Korean jjimjilbang. The word ‘sauna’ is therefore used to describe the wide variety of practises and traditions, although the correct pronunciation of the English word remains controversial! 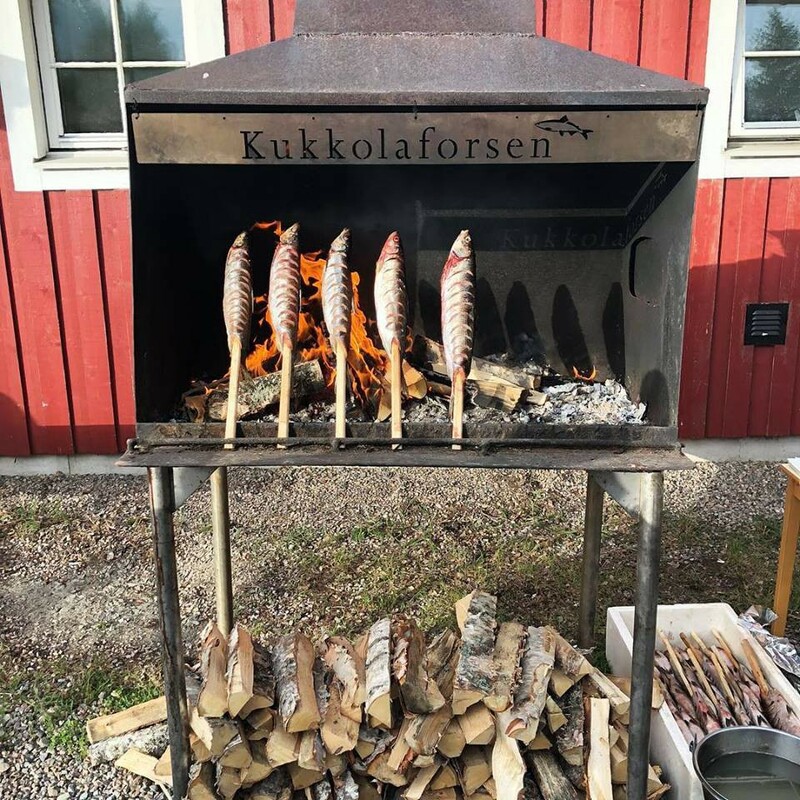 The Finns insist it should always be sow-na, which rhymes with ‘downer’ and not saw-na, which rhymes with ‘fauna’, as most English-speakers pronounce it. Jack Tsonis from Australia pointed out that ‘thermic bathing’ is actually the most accurate term we can use globally. 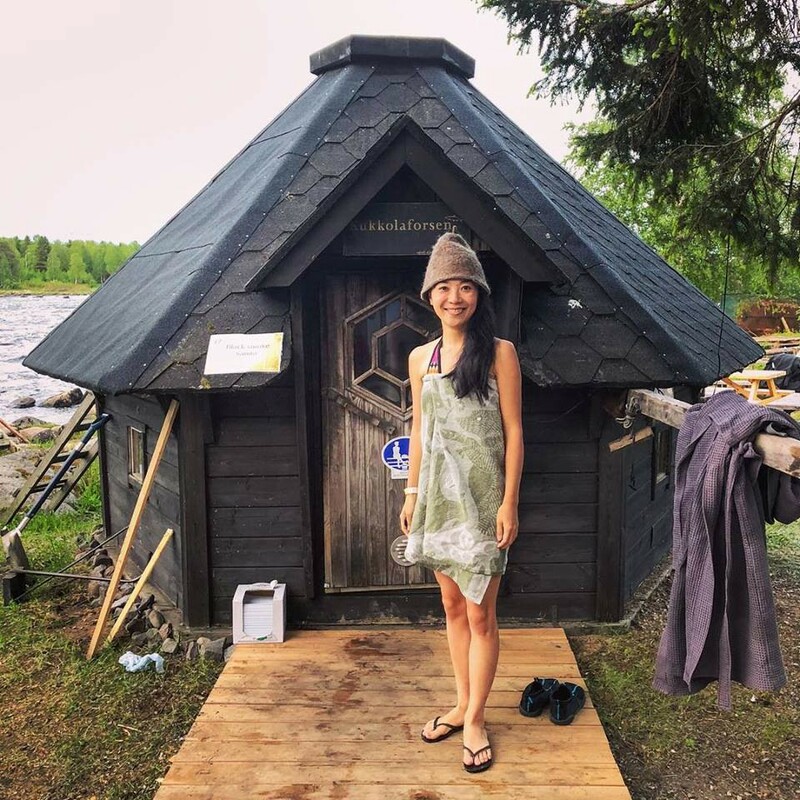 Mika Tokairin from Japan is one of the leading experts on saunas and has spent time researching (and enjoying) Estonian saunas. Jack Tsonis from Australia is on a mission to #spreadthegoodheat down under where tent saunas like the one behind him are increasingly popular. Many of the attendees believe that saunas are currently undergoing a resurgence as more people discover their own sweat traditions and more people seek out authentic northern European sauna experiences. Nowhere is this more true than in Japan where ‘Finnish saunas’ have become incredibly popular in recent years, alongside their own bathhouses. 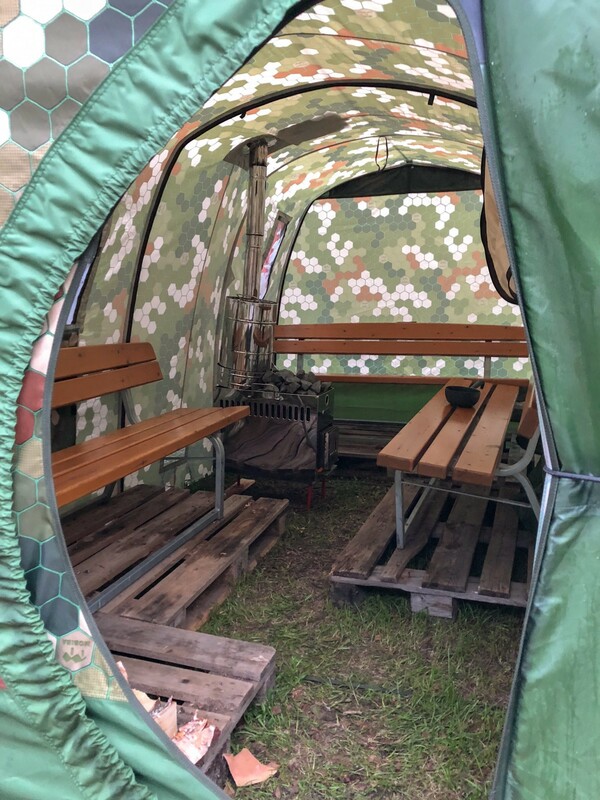 Since we announced plans at Estonian Saunas to open our own smoke sauna in Tallinn, we’ve received a significant number of enquiries from people who want to visit and more than half have come from Japanese tourists. There is also a wider trend here regarding their interest in Estonia and the Nordic region: Japan is also now the leading country for applications to Estonia’s e-Residency programme and there was a significant Japanese presence this year at Estonia’s flagship technology conference, Latitude59. To gain an insight into this Japanese sauna phenomenon, we recommend that you turn the sound up and watch this quite remarkable new Japanese sauna commercial that was shown at the Congress. 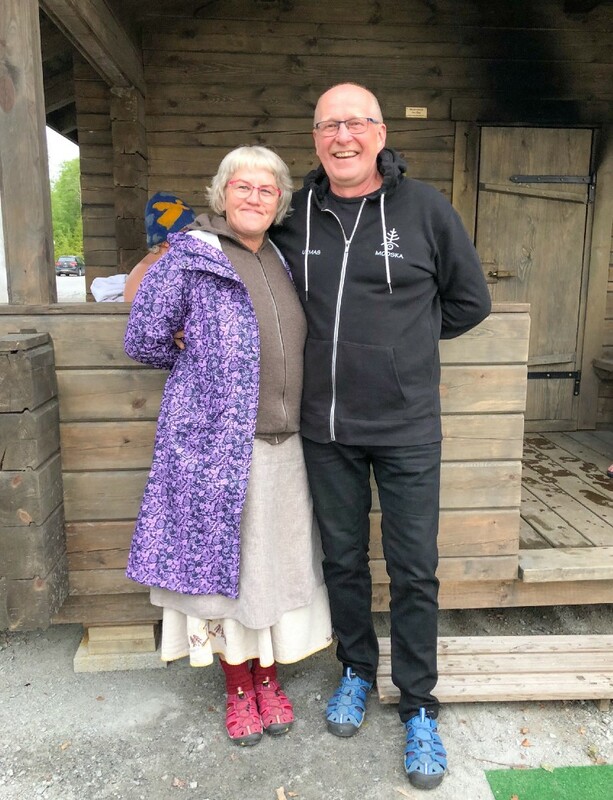 Mika Meskanen and Katie Bracher from the British Sauna Society explained that they’ve seen two main reasons for this new interest in saunas — the rising popularity of Nordic lifestyle trends (from hygge to päntsdrunk) and the increased media coverage about the health benefits of saunas. 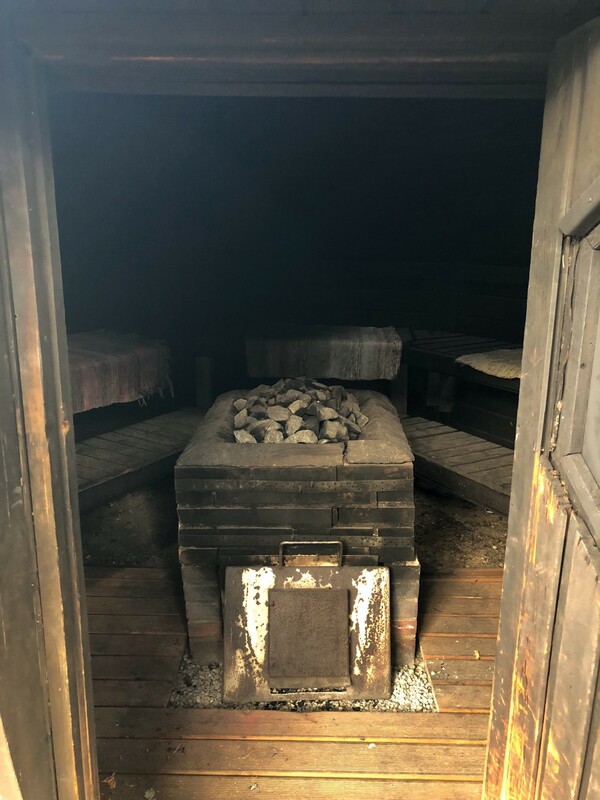 Many of the attendees played a personal role in this revival, such as by opening new saunas, conducting scientific research and generating media coverage. Bracher, for example, is the person to thank for WARMTHbrighton — a fantastic pop-up sauna (with an Estonian stove!) on Brighton Beach in England. The Congress began with a review of the latest scientific evidence for the health benefits of going to the sauna. Some of the studies have generated enormous media coverage recently (such as this one below featuring our Chief Saunamaster), but they are not yet enough to affect change in the provision of health. Dr. Mark Timmerman from the US explained at the Congress that it’s difficult to find funding for health research that is based on lifestyle changes rather than pharmaceutical medicines. It’s increasingly common for doctors to prescribe exercise as an alternative to medicine and they could one day be prescribing saunas too, but more clinical trials are needed first. In addition to personal health benefits though, many participants noted the ways in which saunas also foster systemic health benefits across society because they bring strangers together in a relaxed environment in which there is a shared acceptance of our human nature and differences in social status are less easy to identify. We don’t have to agree with each other on everything after sharing a sauna, but we can at least understand and accept differences better and this can have a powerful effect on community building. Mikkel Aaland even shared a study indicating that men who sweat together are more likely to co-operate afterwards (before adding that women seem already able to work together). We were invited to attend the International Sauna Congress after organisers noticed our own plans to open a smoke sauna in Tallinn. 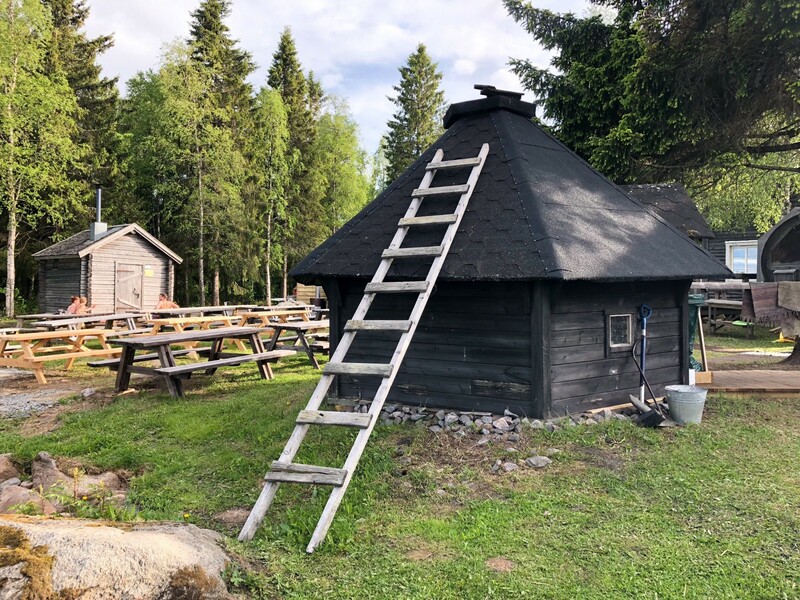 Finland has about 40 to 50,000 smoke saunas, which are the oldest and most special type of saunas so the members are passionate about preserving them (and building more). Sweden’s sauna Minister explained that he has five saunas, but his smoke sauna is “the Rolls-Royce of saunas”. 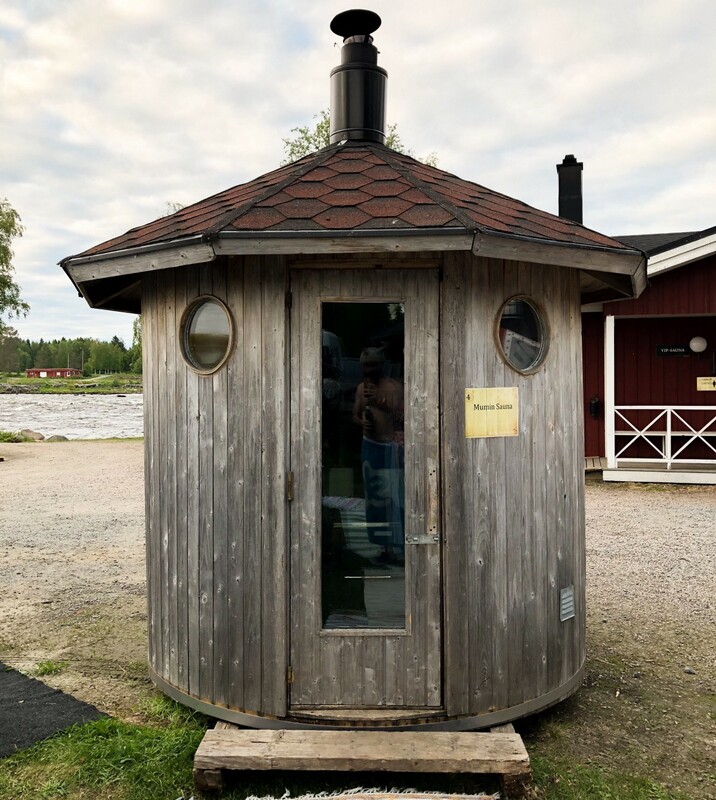 The latest Finnish guidelines on smoke sauna construction, which were discussed at the Congress, are available for purchase in English online here. The best part of attending the Congress though was simply meeting saunamasters and enthusiasts from around the world — starting with Eda and Urmas Veeroja who caught the same planes up from Tallinn with us. They run Estonia’s most famous smoke sauna at Mooska farm in Võrumaa. Eda and Urmas had a starring role sharing sauna culture on Korean TV recently and their sauna also appeared on the cover of the New York Times Magazine. You can also watch this great video in which Eda introduces the smoke sauna experience to Estonian singer and songwriter Kerli. 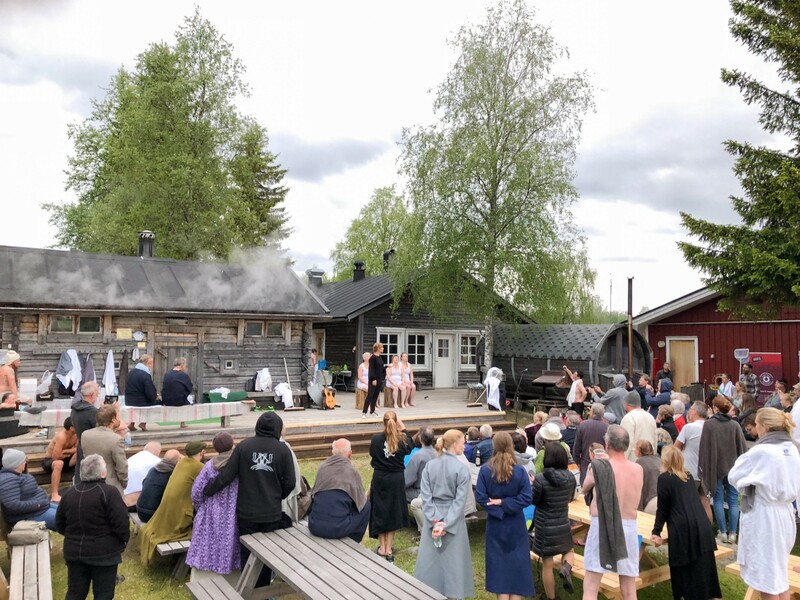 Eda spoke at the Congress about spiritual aspects of the sauna experience and helped teach the attendees about the sacred role of the sauna in Estonian culture. 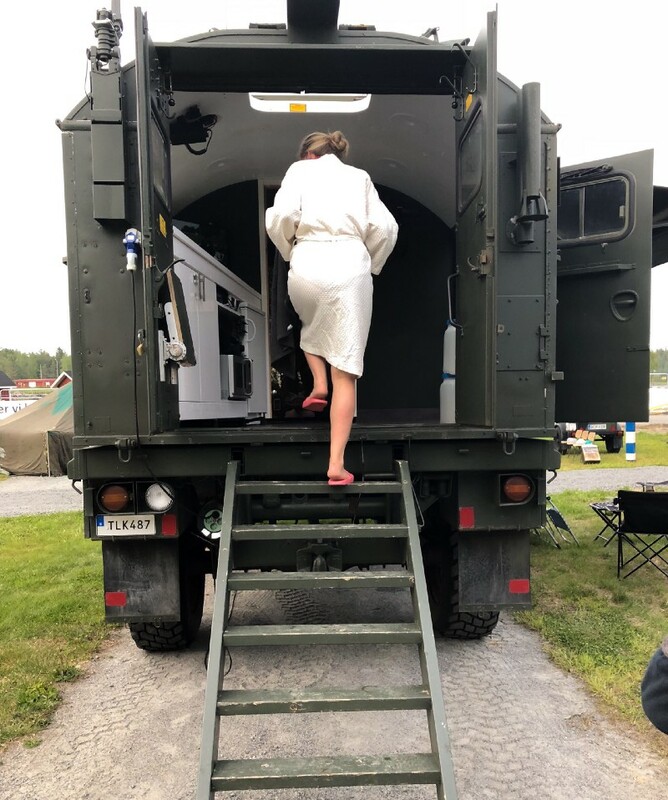 In addition to the workshops, seminars and discussions, we also obviously had the opportunity to get inside a wide range of weird and wonderful saunas at Kukkolaforssen — from tents to military trucks, many of which were transported there especially for the Congress. 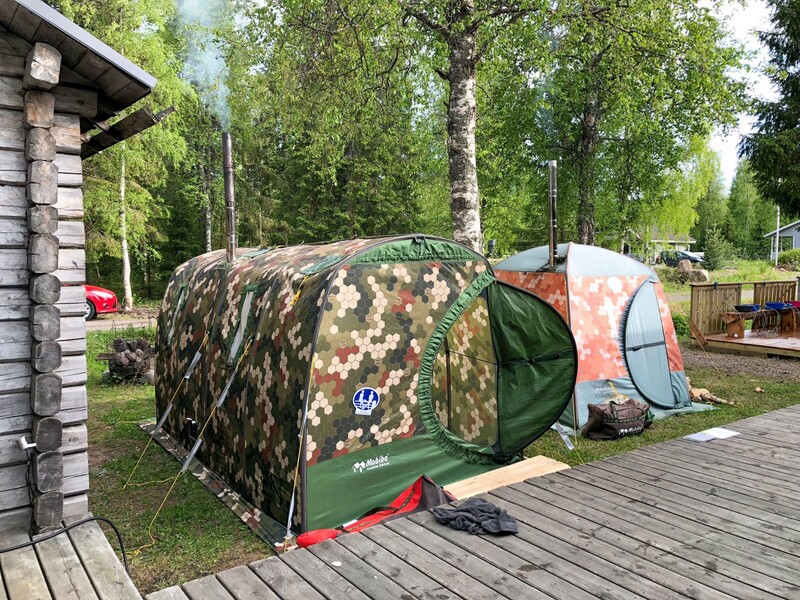 This sauna experience was particularly special because it took place under the midnight sun. We were just outside the Arctic so the sun only dipped briefly behind the horizon but the sky stayed light all night. 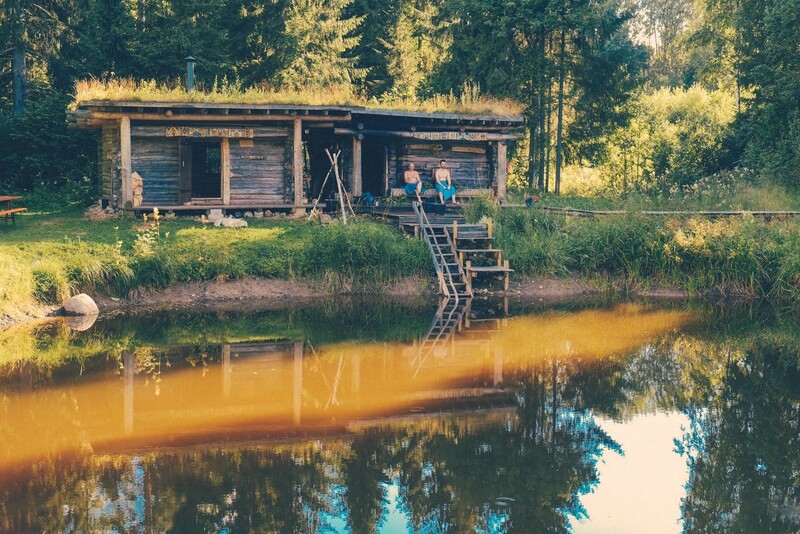 The next International Sauna Congress takes place in 2022, by which point we hope that far more people around the world are able to enjoy sauna culture — especially in Estonian saunas. 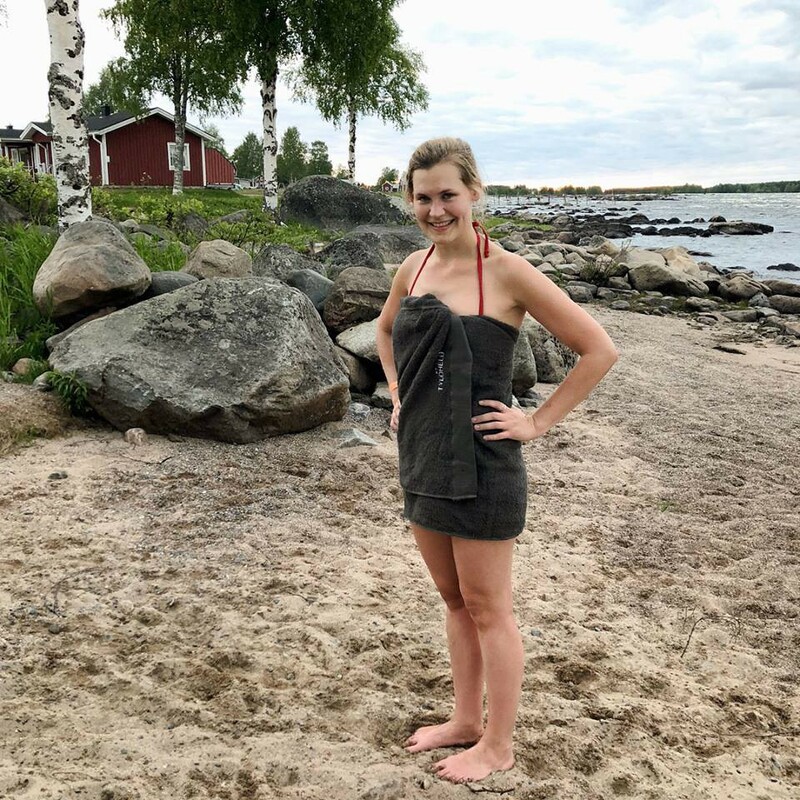 We’ve launched Estonian Saunas to help more people learn about Estonia’s unique sauna culture and history, as well as try them out! We’re also planning to open our own smoke sauna in Tallinn, but we’ll tell you more about that another time. For now, you can help us get going by following Estonian Saunas on Facebook, Twitter and Instagram. You can also contribute content or just say tere by emailing us at tere@estoniansaunas.com. Finally, if you are a fan of real saunas then join our new Facebook group for real sauna fans!